With the wind in my face and a full meal in my stomach, I sped around the northeastern side of Bali on my $1.50-a-day scooter, looking to experience the unique Balinese cultural in new ways. 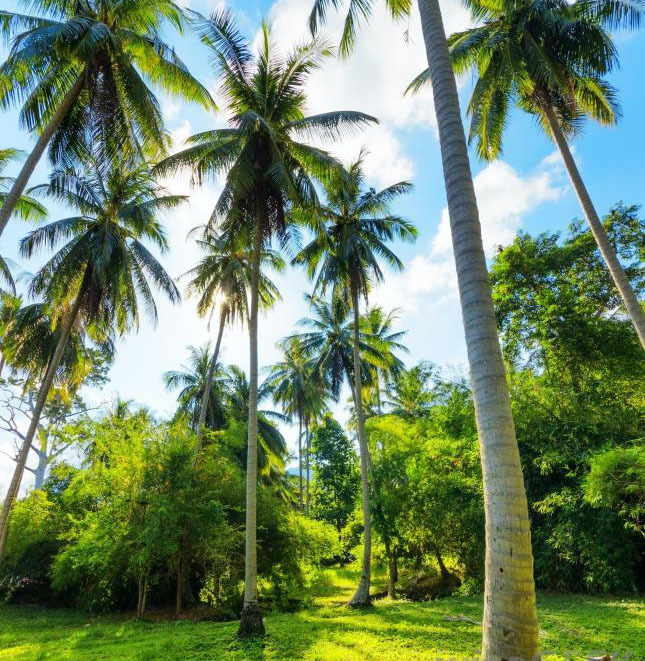 A wave of desire swept over me, and I knew it would be like discovering a pot at the end of the rainbow if I could find some palm trees on the shore to set up my ENO hammock for an afternoon nap. My eyes prowled the shore, which ran parallel to the road about a hundred and fifty meters away. I spotted a large lot full of trees and overgrowth. No homes. No people. Only green between me and the shore. I pulled off the road and parked in the bushes before tight-rope walking on a wall to get to the beach. I found the two best coconut palms and started setting up my hammock as the ocean lapped the sand a mere 20 feet behind me. Just then, I looked up and saw a man only 30 meters away walking directly toward me with a large curved knife in his left hand. I circumvented my immediate fear to ease potential tension—smiling as I walked straight for him, legs prepped and ready to bound away if I sensed any aggression. As he drew closer, I noticed the early stages of a smile so I held course and as we came together, we began trying to communicate. About the only thing I could understand from my broken knowledge of the Indonesian language (even with the help of a translator app on my phone) was that he called himself "Tuyol" and he was fine with me staying where I was on the property. I thanked him the best I could and—relieved—went back to situating my hammock. But then, as Tuyol walked away, he looked at me over his shoulder as he approached a 30-ft tall coconut palm—which he then scaled. Trees are a bit of a passion of mine, particularly the ones that bear fruit. And I adore climbing them. I watched Tuyol, mesmerized, as he danced up the palm as if it were more of an art than a feat of physical strength and expert technique. I floated toward him, unable to control my legs. From the canopy above, two coconuts announced their arrival to the earth with deep thuds, followed by flights of young palm fronds. Like a panther—yet smiling—he silently descended and overtook the coconuts, cutting a hole for drinking in one and cracking open and creating a spoon for eating the other. Both were for me. If the moon were a few feet closer, I could have jumped over it. After thanking him profusely and trying to climb the palm myself (which he shooed me down from doing), we smiled together and he waved me on to my hammock to rest and enjoy the gorgeous nature that he must have known was calling me in. As I walked back to the shore in a euphoric haze, Tuyol went back to harvesting fronds for Hindu prayer baskets in his orchard (for that is what it was). And as a reward for trespassing on his property, he had given me food and drink, taught me about local trees (like cashews and wax apples), and did not cut me with his knife for wandering onto his property. No money exchanged (though I politely offered), no pomp, no "if you liked my service, please write a review on Yelp," just kindness to a new friend. After a month in Bali, that was undoubtedly one of my favorite moments. Nobody was Balinese. Nobody was American. They were just people being people together—and that was unique enough for me.